A government banking entity needed to visualize consumer credit trending from financial firms in a simple and compelling way. Decisive Data worked to build an intuitive and easy to use dashboard by implementing visual best practices – using color to drive meaning while highlighting areas of concern in consumer credit trends. 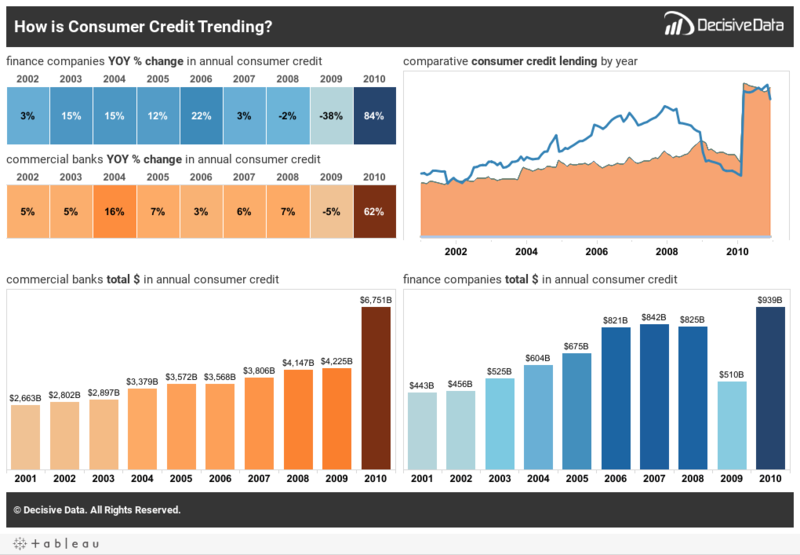 The government entity now has a simple and clear dashboard that enables its stakeholders to visualize consumer credit trends over time.